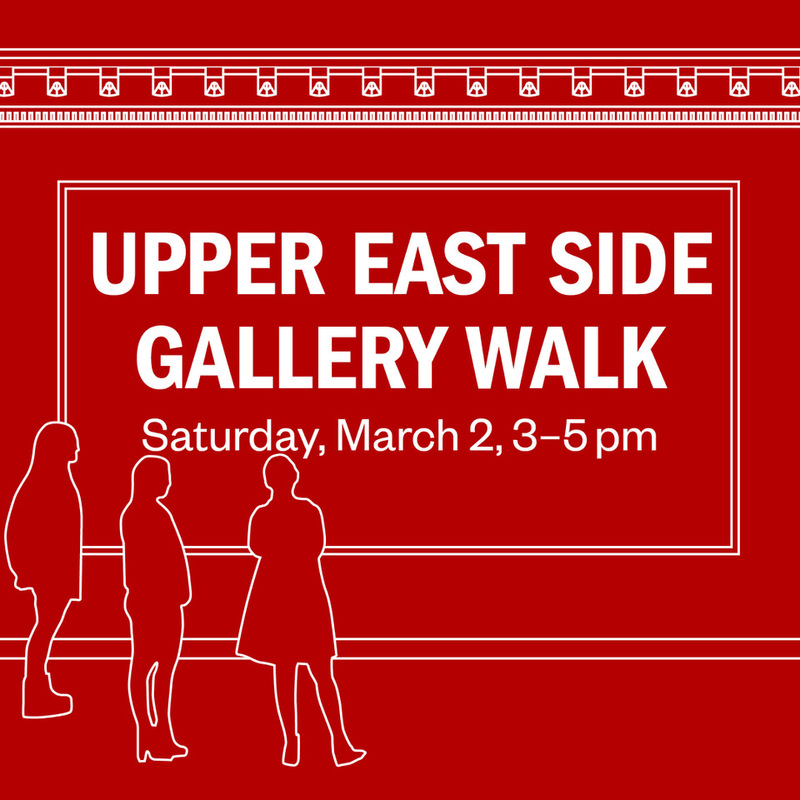 Join us on Saturday, March 2 from 3pm–5pm for the ADAA Upper East Side Gallery Walk, concurrent with #TheArtShowNYC! 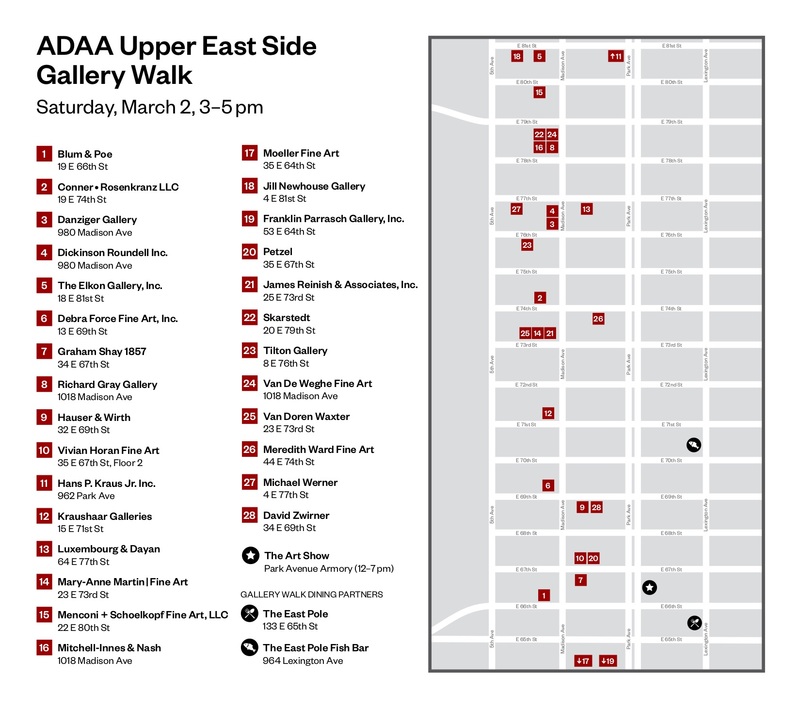 Over 25 ADAA member galleries will open their doors to the public for a collaborative event showcasing some of the most dynamic exhibitions in New York City this season. Download a map of all of the participating galleries here. Gallery Walk visitors can enter to win a tote bag full of art books and exhibition catalogues by posting photos of their experience on Instagram with the hashtag #ADAAUESGalleryWalk. A winner will be selected from those who visit and post from the most ADAA galleries during the event. To be eligible, photos must be posted by 12 noon on March 13. More updates on special events coming soon!